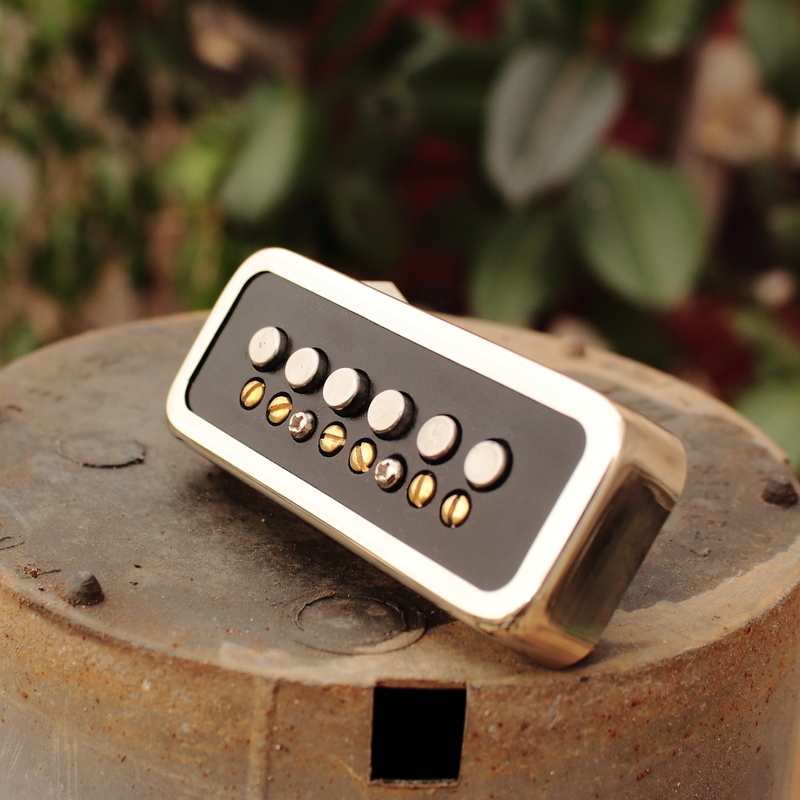 The version of Mr, 2000SB (Solid Body or Short Version) is a humbucker size but the magnets have ¾ ‘ length (shorter compared to the original) and the whole construction can fit on most solid body and Semi-Hollow humbucker cavities. The third version is the Mr.2000PSS is a P90 size with the magnets have ¾’ length and the whole construction can fit on most solid body P90 soapbar cavities. If you have Semi- Hollow 335 style with P90 pickup soapbar pocket you may need an extra metal plate , contact us before you order. Mr. 2000 has a unique and characteristic structure with six individually adjustable magnets. It is far more sensitive to adjustments compared to the P90 which only has adjustable screws. This happens because, as you are raising or lowering the whole magnet, you can control the magnetic field with more accuracy than the P90, where the screws simply transfer the magnetism of the bottom magnets. Moreover, this characteristic structure, makes Mr.2000 very versatile. Having the magnets raised high up and the whole pickup (the coil) lowered, you get a bright vintage punch sound. How ever, if you set the magnets all the way down in the pickup (the coil), you get a fat clear sound with a deep bass response. There are of course several combinations apart from these two setups.